This avatar is a tiger and a person at the same time, using the default skeleton that must be used on your avatar. The bones are rigged so both move in unison. These is a render of the tiger with Waving girl's avatar posed on it. The tiger is a single mesh piece with a mesh avatar on top. 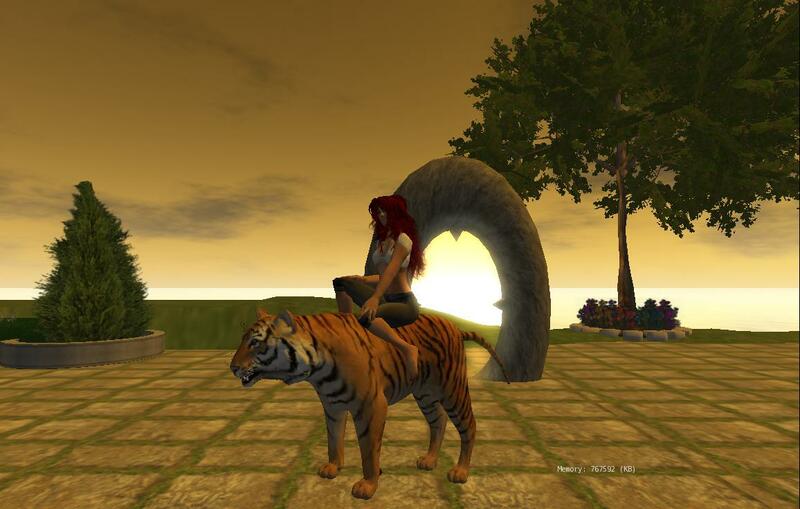 Tiger Rider for Opensim from Ferd Frederix on Vimeo. You can customize the avatar and change your hair. 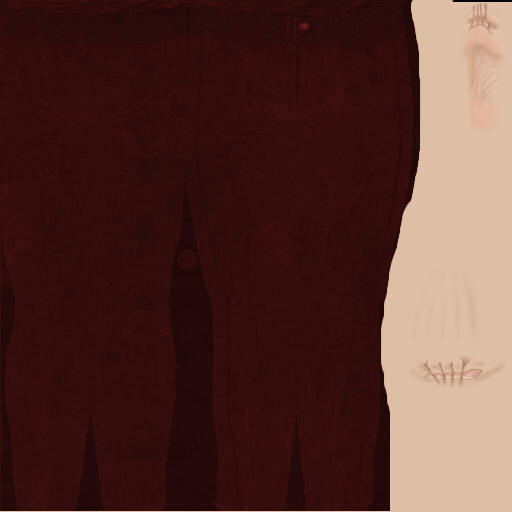 You can use a photo editing software to change clothes. It's not really hard but then it's also not very simple. 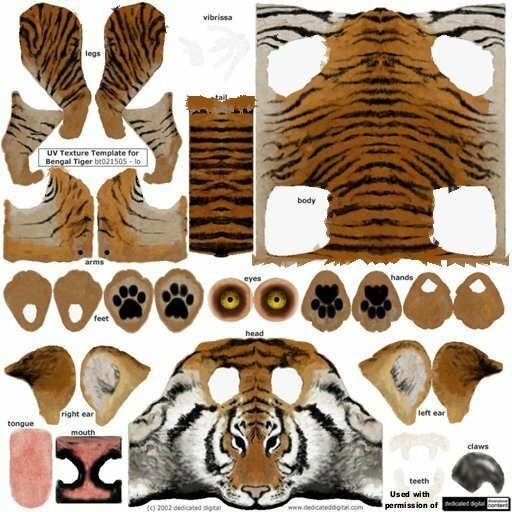 You rez the tiger/avatar and drag and drop new textures on it. 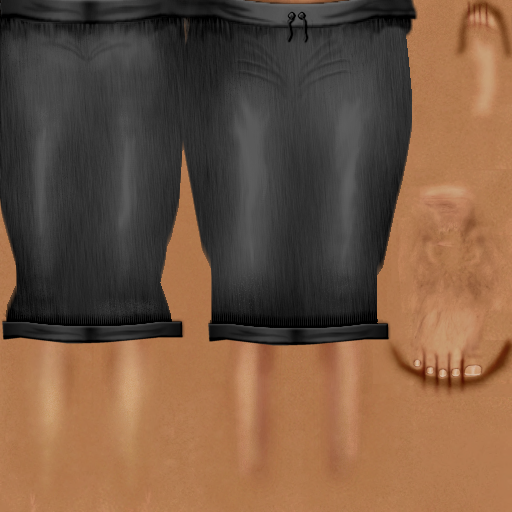 The skins have to be combined into a baked layer which is different from Second Life, but the same mesh UV map is used, so it is rather simple to do. Tiger, Skin and Eyes by William Capozzi, of Dedicated Digital. 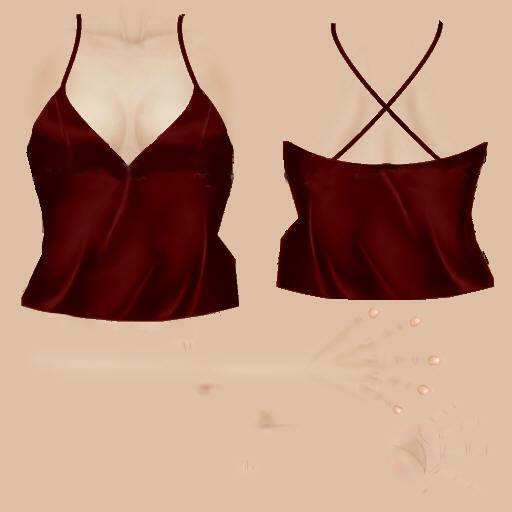 William kindly consented in an email for this to be used for Second Life or Opensim as long as he gets attribution. Thank you William! Neither the name of Another Shop nor the names of its contributors may be used to endorse or promote products derived from this software without specific prior written permission. SKIN, EVEN IF ADVISED OF THE POSSIBILITY OF SUCH DAMAGE.